ITB Professional Services utilise a full portfolio of industry led qualifications to deliver consultancy, support maintenance & training which positions us perfectly to meet the challenges and objectives of your projects. Network security focuses on protecting your network when accessed via remote devices such as laptops or other wireless and mobile devices. Each device connecting to the network creates a potential entry point for security threats. Endpoint security is designed to secure each endpoint on the network created by these devices. USB and removable device control has become a major focus for companies of all sizes. One reason is that our increasingly mobile employees carry a large collection of sensitive data. Companies now purchase more tablets and laptops than desktops—and those devices are loaded with sensitive information: everything from the patient, customer, and employee records to intellectual property, financial data, and passwords. 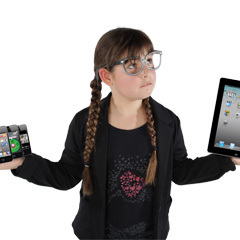 Another huge consideration is the development and increase in Bring Your Own Device (BYOD). BYOD and portable storage device use in the workplace significantly increase the likelihood of your business facing data leakage issues. However, they can also help companies save vast amounts of money and increase productivity.